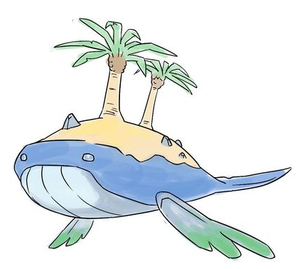 A whole ecosystem exists on its back, so it tries not to go underwater. 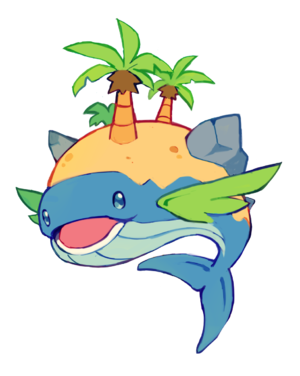 Bigfin, the Island tuxemon, is a Water-type monster. Original design by Cavalcadeur. Sprites by Cavalcadeur. Face sprites by Sanglorian and Tamashihoshi. 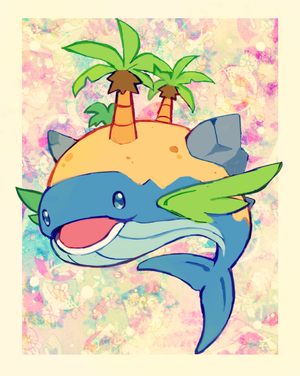 Other art by Leo and extyrannomon. Other sprites by Levaine. This page was last modified on 31 March 2019, at 12:25.